TACLOBAN CITY- The Office of Ombudsman here in the region has asked a municipal mayor who is running for vice governor in Biliran province to answer a complaint filed against him for allegedly tampering a performance rating document of an employee. Mayor Lorenzo Reveldez Jr. of Culaba town is facing a complaint from Gloria Godes, a nurse assigned at the municipal health office, who claimed that the official changed the performance rating of her immediate superior and gave her unsatisfactory rating which could be used as basis for her eventual dismissal from service. Godes claimed that Reveldez, who is running for vice governor in this year’s midterm elections, tampered her individual performance commitment and review (IPCR) covering the periods of the first semester and second semester of 2017 and the first semester of 2018, giving her failing marks. Godes said that for the first semester of last year, for example, she received an overall performance rating from immediate superior, Dr. Estrella Pedrosa, of 4.33 percent with 5 percent as the highest rating. But she alleged that Mayor Reveldez revised the rating and made it just at 2.96 percent. “That on the 1st week of January,2019, (I) was told by the HRMO that my rating was unsatisfactory based on mayor’s rating and was told to submit means of verification(MOV) or supporting documents to justify (my performance),” she said in her letter. “The HRMO handed to us our IPCR/OPCR with the notation of Mayor Reveldez dated Nov.26, 2018 regarding submission of MOVs. Upon browsing, there were corrections on the rating of our immediate superior, the Municipal Health Officer in the mark/rating on a red pen. No dialogue nor meeting was conducted to justify, not even the Performance Management Team,” Godes said on her March 25 letter. She said that Mayor Reveldez also made the same alleged tampering on the performance rating of two other employees. This act of the mayor resulted to sleepless nights as the unsatisfactory rating she received from the mayor could lead to her dismissal from service, Godes said. 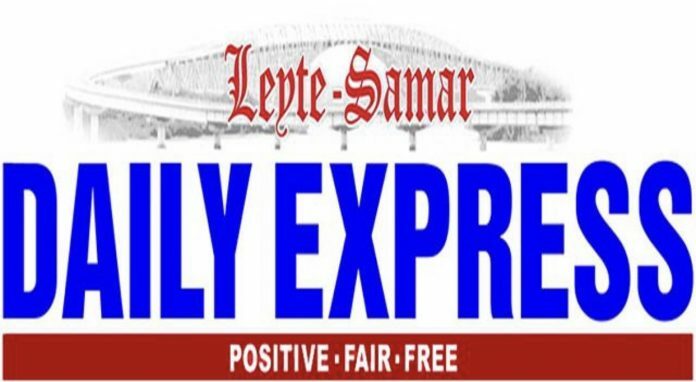 Reached for his comment, Mayor Reveldez dismissed the allegation of Godes saying that as the mayor and head of the Performance Management Team (PMT), he has the final say in giving ratings to the employees of the municipal government. According to him, the rating is being used by him as a basis in giving performance bonus to the employees. “I am the mayor of the town and chairperson of the PMT of which I created. I have the final say,” he said. He added that all employees of the municipal government is given the opportunity to rate their own performance which is then forwarded to the PMT, which, in turn, submit their ratings for his review. “I have to evaluate why they rate themselves five, for example. These self-ratings are submitted to the PMT which endorse these to me as its chair for my own evaluation,” he said. He then conduct his own evaluation by asking them mode of verification which include mostly supporting documents. “These ratings should be supported with documents and not just hearsays,” Reveldez said. Reveldez said that he has already submitted his reply to the Ombudsman on March 23. The Ombudsman has yet to issue its decision on this complaint against the outgoing Culaba town mayor. Previous articleSenate bet Glenn Chong has more ‘police escorts’ than usual. Is this allowed?